Hansen Audio is built on founder Lars Hansen’s passion and commitment to build the finest loudspeakers possible—regardless of price. Lars Hansen is a perfectionist. A veteran in the consumer electronics industry, he envisioned creating a loudspeaker that would challenge technological limits of design, performance and in doing so recreate the sonic cues found in the original musical event. This was a challenge that had yet to be accomplished. To do so would require an enormous investment of resources (monetary, R&D & time). Not satisfied with the use of conventional box “cabinet” designs & materials, or off-the-shelf drivers, Hansen knew he must develop his own. Hansen Audio Loudspeakers are the result. Hansen Audio high performance loudspeakers are the product of many years of intense research. Hansen tapped edge-of-the-art science and technology from industries beyond audio, including aerospace, Formula 1 and offshore boat-racing. Hansen Audio meticulously builds their luxury lifestyle speakers by hand and uses proprietary drivers also designed and built by Hansen Audio. All Hansen Audio manufactured drivers use exotic Multi-Layer Composite Sandwich cones, resulting in the best Sound Wave Deformation Prevention in driver technology today. The inert composite sandwich material has no sonic signature and therefore is completely neutral in sound. The finished driver, utilizing Hansen's amazing powerful motor assembly, has the fastest attack time, the quickest recovery time and most accurate tracking possible. Hansen Audio's success in driver design revealed weaknesses in traditional "panel contruction" enclosures. Hansen developed new Sound Wave Diffraction Distortion Elimination technology and designed a free-flowing organic enclosure. Hansen Audio enclosures are "dispersion coherent" which allows the finished speaker to be "phase coherent" both acoustically and electrically. Hansen speakers are guided by a philosophy of uncompromising quality. Advanced scientific research, purity of sound, and elegant design are at the heart and soul of Hansen speakers. While words can convey something of the craft and science that make Hansen Audio high performance loudspeakers the best of the best, only when listening can you fully appreciate how great they really are. Hansen Audio does not produce an ‘economy line’ of loudspeakers. There is no Toyota to its Lexus; no Honda to its Acura. Hansen exists to build the finest loudspeakers possible. This makes the Hansen Audio line of loudspeakers markedly different from most other manufacturers. There is no “top of the line”. There is no “bottom of the line”. Instead, the Hansen line is built for different listening environments. 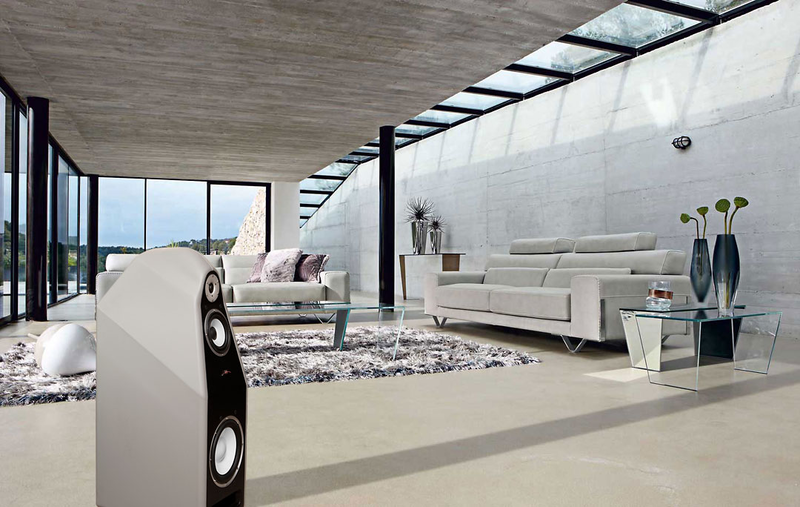 Hansen builds speakers for different sizes and types of rooms. But the technology, design, and purity of sound is just as uncompromised in the relatively small THE ELIXER bookshelf speaker as it in the more imposing THE GRAND MASTER 2. All Hansen speakers incorporate the same custom engineered, hand-built drivers, crossover components, enclosures and technology. Hansen’s philosophy is to match the size of the loudspeaker to the size of your listening room so that what you hear is music to your ears. Schedule an audition with Wes today to hear what these speakers do. A magical listening experience. 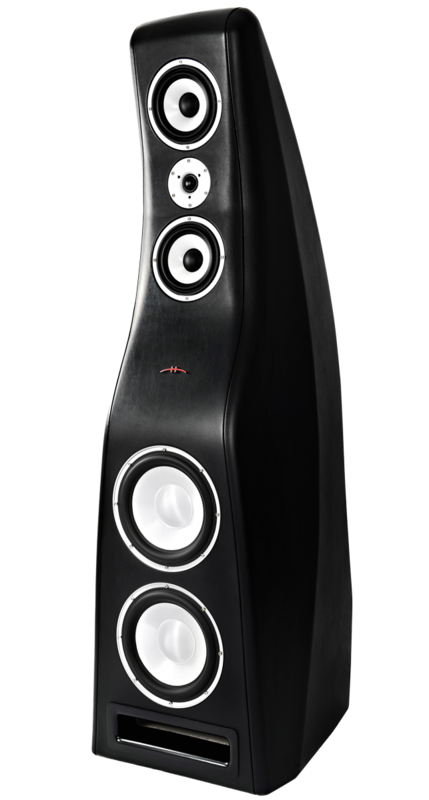 THE GRAND MASTER 2 is a 10-driver, 3-way, floor-standing speaker. The four woofers and four mid-band drivers are engineered, designed and manufactured by Hansen Audio to match perfectly two high precision tweeters. All Hansen speakers are built by hand to produce the purist sound possible. Each model in the line is differentiated not by quality, but by the size and type of room in which the speaker best excels. THE GRAND MASTER 2 is designed to produce unparalleled sound quality in the most demanding and fulsome listening environments. Hansen Audio put all of the magical technology in their THE GRAND MASTER 2 loudspeakers into the new THE KING E 2 speakers. Hansen Audio THE KING E 2THE KING E 2 is a 6-driver, 3-way floor-standing speaker using Hansen Audio’s proprietary hand-assembled drivers. The two woofers and dual mid-band drivers are engineered, designed and manufactured by Hansen Audio to match perfectly with the two High Precision tweeters made for Hansen Audio. These drivers all use the exotic multi-layer composite sandwich cones mated to the powerful Hansen optimized geometry motor assembly. Hansen Audio THE EMPEROR ETHE KING E 2 is designed and built to last, both sonically and visually, and to be enjoyed for many generations to come. THE EMPEROR E was created with perfect balance and harmony. 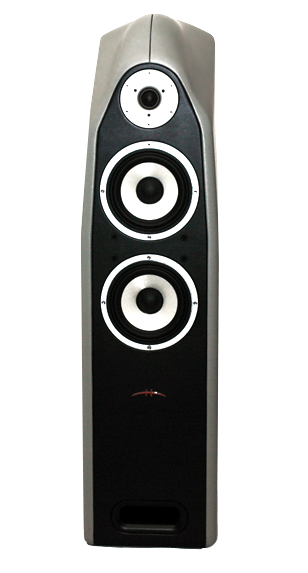 THE EMPEROR E is a 6-driver, 3-way, floor-standing speaker using Hansen Audio’s proprietary hand assembled drivers. The two woofers and the two mid-band drivers are engineered, designed and manufactured by Hansen Audio to match perfectly the two high precision tweeters. 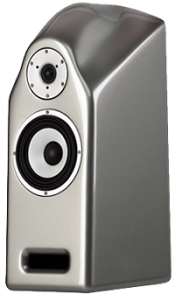 WBSNYC recommends THE PRINCE E speakers as an excellent point of introduction to Hansen Audio's outstanding line. Exquisite in form and sound. Authoritative, powerful and delicate when called upon, THE PRINCE E was created with perfect balance and harmony and was designed to compliment any room environment—large or small. Delicate and visceral, with perfect balance and harmony. 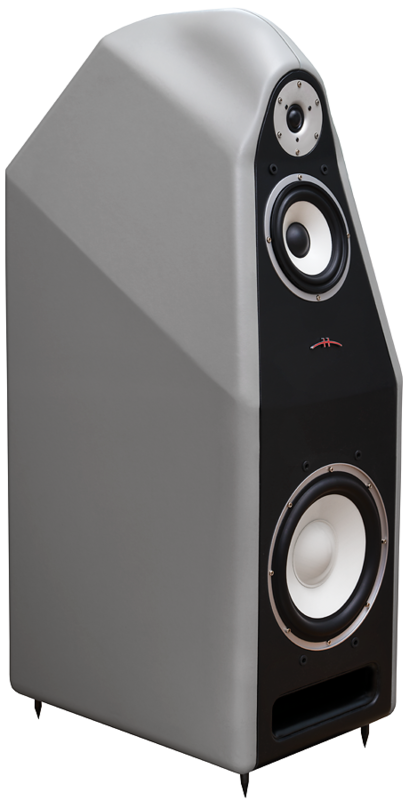 THE PRINCE E is a 4-driver, 3-way, floor-standing speaker that uses Hansen Audio’s proprietary hand-assembled drivers. Hansen Audio THE KNIGHT 2The woofer and the mid-band driver are engineered, designed and manufactured by Hansen Audio to match perfectly the two high precision tweeters. THE PRINCE E in its final stage is hand completed by artisans in the beautiful Hansen Audio Luxury Leather (animal-free) finish. Contact Wes Bender Studio NYC to schedule an audition. 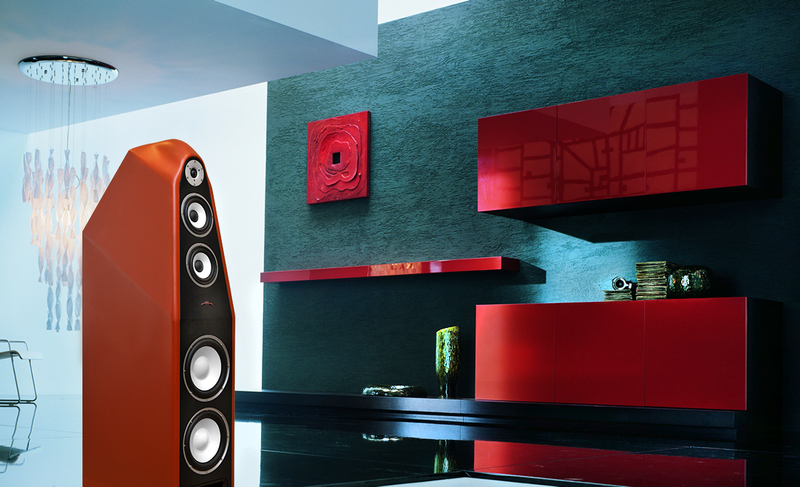 THE KNIGHT 2 is a 3-driver, floor-standing speaker. The woofer and mid-band drivers are engineered, designed and manufactured by Hansen Audio to match perfectly with the High Precision tweeter made for Hansen Audio. THE ELIXER is a 2-way bookshelf loudspeaker. The woofer / mid-band driver is engineered, designed and manufactured by Hansen Audio to match perfectly with the High Precision tweeter made for Hansen Audio.